Timber can sit for a long time at a sawmill before it is processed. 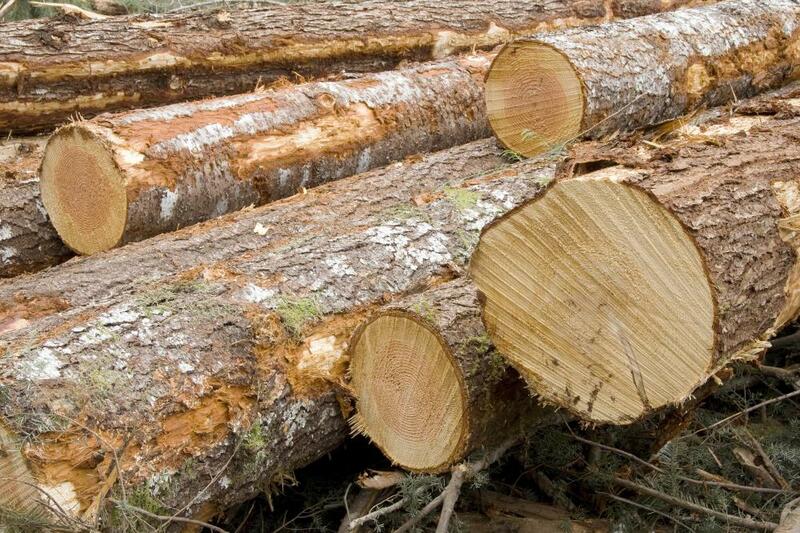 Timber is the wood from standing or felled trees. Timber can refer to wood that is still in the form of a tree or wood that has been cut and treated for carpentry uses. Timber is another name for wood, whether still standing in the form of trees or felled and turned into boards for construction. Some people may also refer to it as lumber, or differentiate between unprocessed wood and lumber as cut wood packaged for commercial sale. 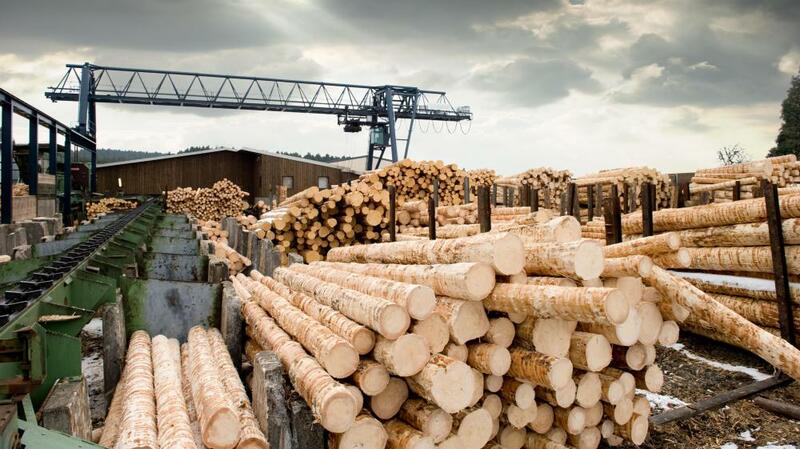 The timber industry around the world is huge, providing wood for a variety of products from paper to particleboard. People have been referring to timber since at least the seventh century, although "lumber" is a relatively recent word, dating to the settlement of America in the 1600s. Early citizens in the Massachusetts Bay Colony started to refer to sawed planks as lumber, setting them apart from the raw wood that still had to be processed before it could be used. Incidentally, the "timbers" in nautical slang are an important structural component of a ship's frame. Before timber is felled, it must be assessed by foresters, who determine how valuable it is and whether or not it is safe to harvest. In many regions of the world, a harvest plan must be filed with a government agency, indicating intent to fell trees in a particular region. If the plan is approved, a logging company sends in loggers and support staff to fell the trees and prepare them for shipment to an offsite mill. In some cases, a mill may be established in the forest, if there is a lot of wood that needs to be processed. Sometimes, raw timber will sit for months at a sawmill before it is processed. Some mills do this to ensure that they have a stockpile of salable wood, while others simply fell so much that they cannot handle it all at once in the mill. During the winter off season, when it is difficult and dangerous to work in the woods, this stockpile may be processed into boards, wood chips, and other forest products. If left too long, the timber can start to rot, which is something that most companies try to avoid. 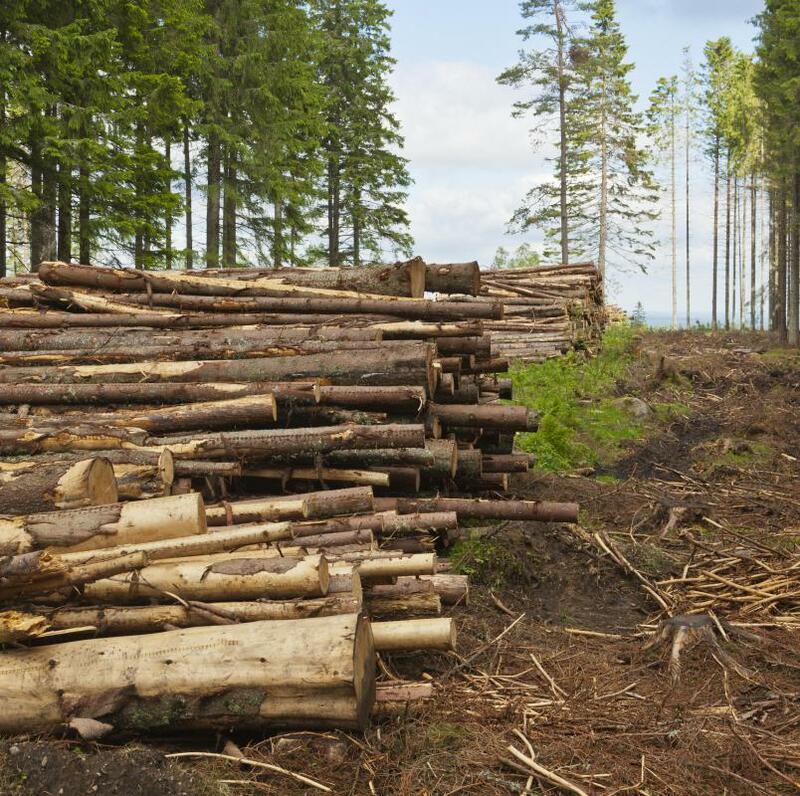 Depending on the size of a mill, wood products like paper and particleboard may be made on site, or the raw materials may be sent to other companies that purchase them in bulk. Papermaking in particular is a messy, dirty process, and some companies prefer to leave the dirty work to others. Once cut, timber may also be treated with chemicals to make it resistant to decay and insect infestation, and then it will be graded for quality and sold. In Construction, what is a Trimmer? 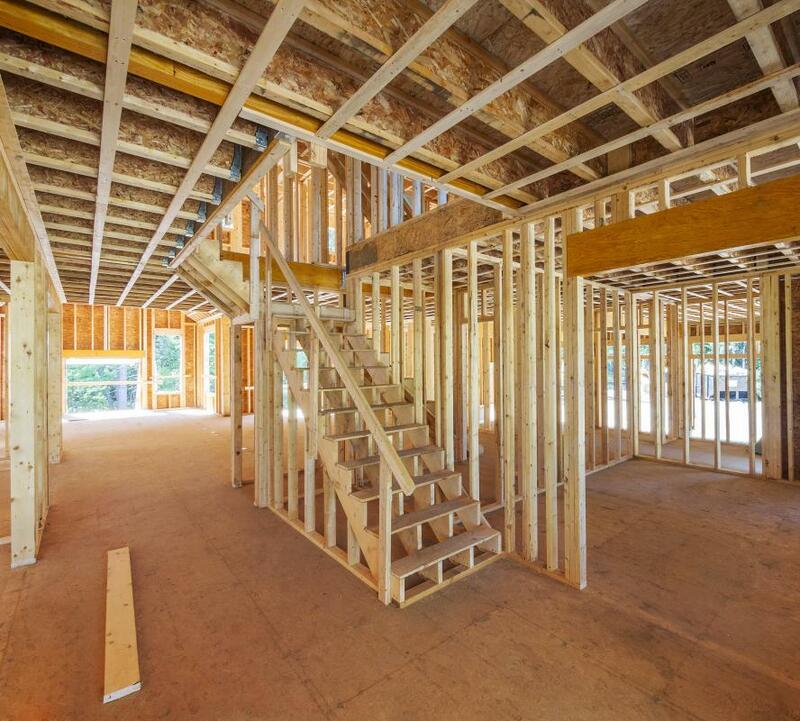 What is a Timber Joist? What is a Log Flume? What Jobs are Available in the Timber Industry? What do Timber Merchants do? I agree with Claire24. It's very peaceful. I love standing in the forest, surrounded by nothing but timber and the sounds of animals. It's one of the most peaceful feelings in the world. It sometimes saddens me to think of all of the timber being cut down to make things like paper and lumber. It's okay, I guess, as long as the beautiful timber forests are being replanted. I'm reminded of how people yell "timber" when a tree is falling. Is this because the tree itself is referred to as timber? Or maybe because the tree will become a number of timber products once it has been cut? I love the smell of timber. Maybe it reminds me of happy childhood memories. When I was little, I would go with my grandpa when he had to purchase timber for whatever project he was working on. I remember liking the smell then, but now it's even better. what is the difference between wood and timber? can you give full explanation about that, for my assignment.